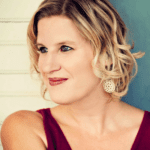 Looking for a fun-filled family vacation destination in the Texas Hill Country? 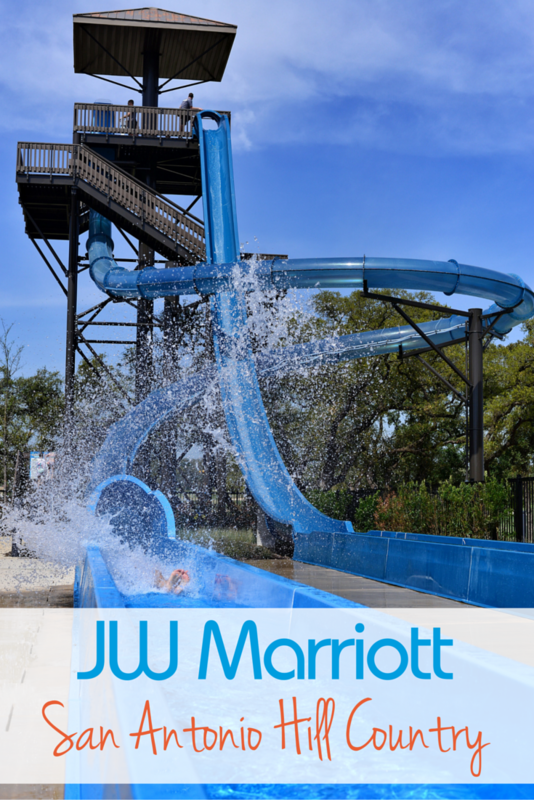 JW Marriott San Antonio’s brand new $16 million water park expansion is now open. Guests of the resort can enjoy eight acres of water fun, with a new sandy beach entry pool, spa, cabanas, and even more water slides! Texas Hill Country. Photo by Big Family TMOM, Heidi Gollub. JW Marriott San Antonio Hill Country Resort and Spa is a favorite vacation destination for Central Texas families. This world class resort, nestled in the rustic Cibolo Canyons, offers sweeping views of the neighboring 750-acre nature preserve, which is home to the federally protected golden-cheeked warbler. Surrounded by picturesque rolling oak-covered hills, guests can relax and enjoy the 36-hole TPC San Antonio golf course, the luxurious Lantana Spa, seven onsite restaurants, and of course, the water park. 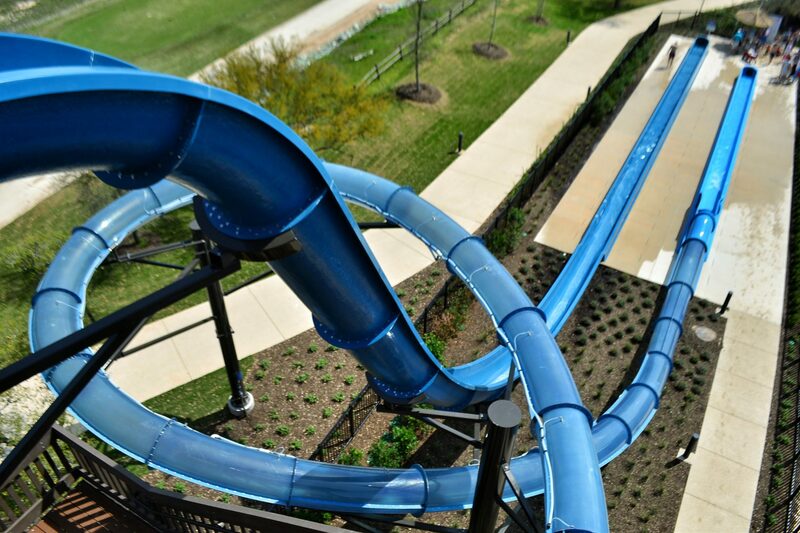 If you’re looking for a Texas adventure, look no further than the resort’s newly expanded River Bluff Water Experience, the incredible water park that is free for guests staying at the resort. Photo by Big Family TMOM, Heidi Gollub. 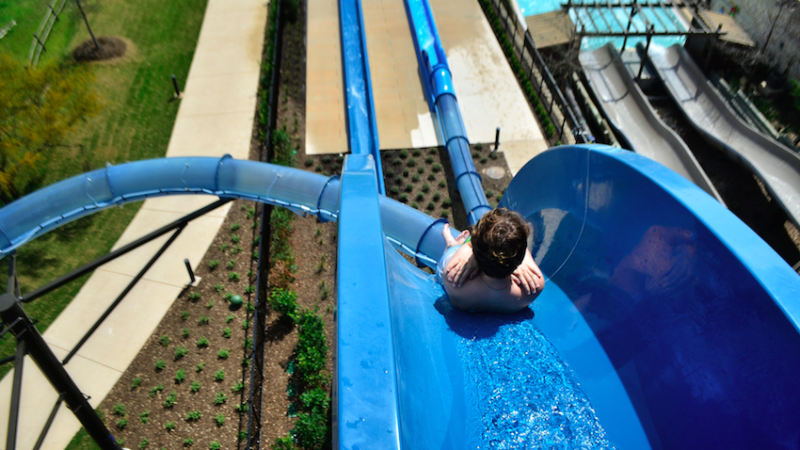 River Bluff Water Experience is kid paradise, with its 1,100-foot long heated lazy river, 650-foot rapid-river ride, water slides, children’s pools with toddler-size slides, an adults only pool, whirlpools, and an activity pool. 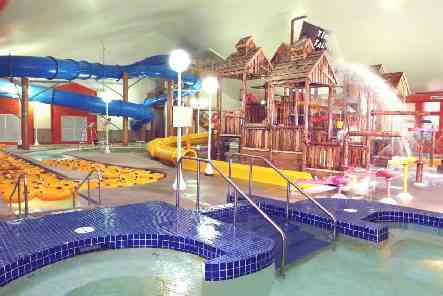 With the new $16 million expansion, River Bluff Water Experience now offers hotel guests even more water fun! Stretching across eight acres, the water park now also includes two translucent body slides, a beach entry swimming pool, and an additional hot whirlpool spa. I recently had the opportunity to tour the new section of the water park with the hotel’s Director of Engineering, Steve McGuire. He proudly showed off the new 18,000-square-foot event lawn with covered stage, the 5,100-square-foot event pavilion with wrap-around porch, the 6,000-gallon jacuzzi, and the 80,000-gallon sandy beach entry pool. We also climbed up to the top of the new water slide tower, to get a peek at the two new slides, available for thrill seekers who are at least 48″ tall. One is a body slide with a 60-foot drop and the other features a launch box. For this ride, guests will stand in a capsule and wait until the floor drops out from under them, launching them down the slide. Two brand new body slides. Photo courtesy of JW Marriott San Antonio. River Bluff Water Experience is open daily, weather permitting, year-round, and easily offers enough entertainment to last all day. And yet, the resort offers more! In addition to all the water attractions, JW Marriott San Antonio has activities lined up from 8 a.m. to 10 p.m. Early risers may enjoy a Morning Extreme Swim (swimming against the current in the lazy river), an Agility Boot Camp, or a Baby and Me Core Splash class. Kids will love decorating rubber ducks to race in the lazy river and trying yoga on the lawn. Throughout the day, children can also enjoy educational entertainment, like the hands-on animal program Zoomagination, or a visit from Dinosaur George and his replica dinosaur fossils. There are also crafts, activities like “make your own ice cream,” an organic garden to tour, and walking trails to explore. After a full day of activities, the resort still has amusement in store for young hotel guests at night. With s’mores at the fire pit, games on the lawn, movies to watch from the activity pool, and stargazing in the backyard, your children are sure to be exhausted when it’s time to crawl into bed. Be sure to pick up an activity guide (or find one on the resort’s website) so you don’t miss a thing! For parents interested in supervised fun for their littles (so they can run away to the golf course or spa), there are two programs available for an additional charge. The Range Riders Boys and Girls Club is a full-service San Antonio recreation program which is available during the day for $12 per hour. The Kids’ Night Out program, offered in the evening, entertains kids and feeds them too! This is $65 per child, with dinner included. Both programs are for children ages four to 12. Dig your feet into real sand at the new beach entry pool. Photo courtesy of JW Marriott San Antonio. 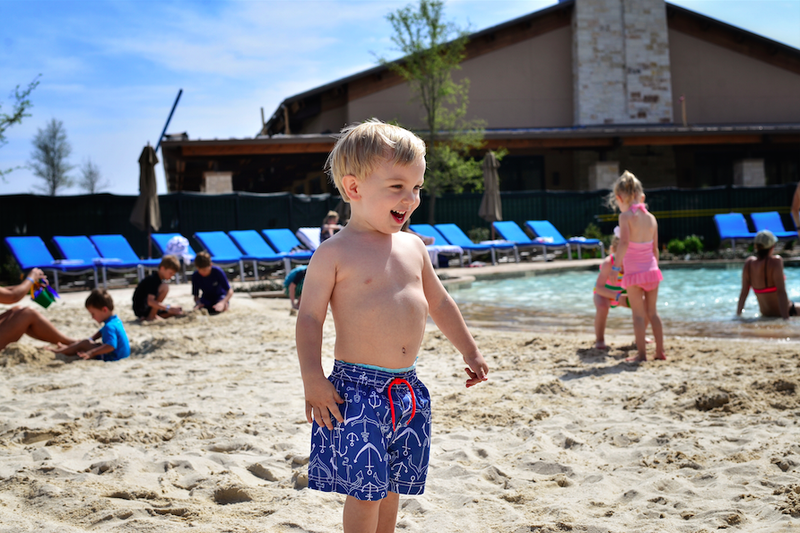 If you’re ready to build sand castles, float along a lazy river, and try a wild body slide, JW Marriott San Antonio Hill Country Resort and Spa awaits! For more information, call 1-210-276-2500 or visit www.jwsanantonio.com. To plan an amazing family vacation in Alamo City, be sure to check out 10 Family Friendly Fun Things to do in San Antonio, Aquatica San Antonio, and 5 Tips for Tubing in the San Antonio Area.